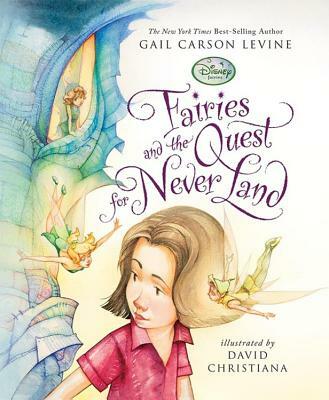 Gail Carson Levine (gailcarsonlevine.com) is the author of many acclaimed children's books, including the "New York Times "best sellers "Fairy Dust and the Quest for the Egg "and "Fairy Haven and the Quest for the Wand"; Newbery Honor Book "Ella Enchanted"; and "Writing Magic." Gail lives with her husband, David, and their Airedale, Baxter, in a 220-year-old farmhouse in New York's Hudson Valley. David Christiana has illustrated more than twenty pictures books for children, four of which he wrote. He lives in Tucson, Arizona, and teaches illustration at the University of Arizona.